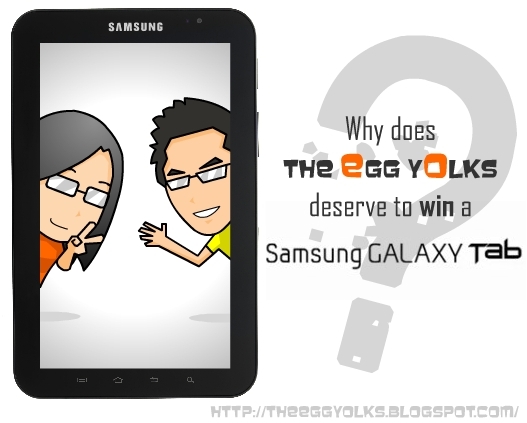 THEEGGYOLKS 蛋黃打点滴: Why do I deserve to win a Samsung Galaxy tab? 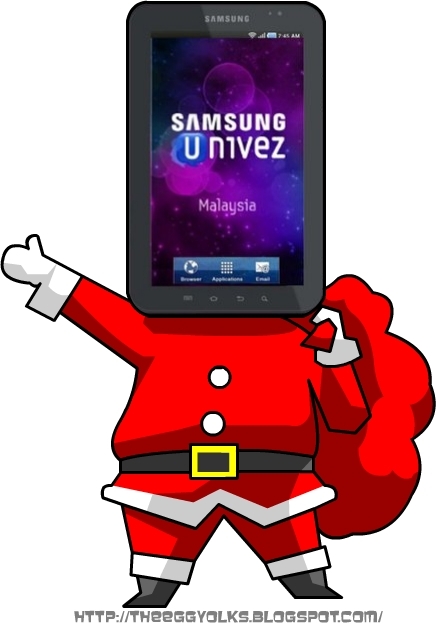 Simply because I’m a person who will use the Samsung Galaxy Tab to the fullest! Let me prove this to you. 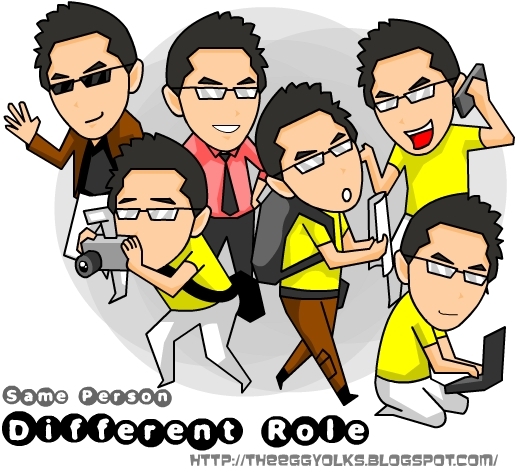 I’m not sure about others, but I need to play few different roles in my life. Therefore, I have different needs and demands when I’m in different situations. This is when Samsung Galaxy Tab comes in handy. I don’t dare to say that I’m a fashion geek, but when it comes to technology and gadgets, I’ll try to get myself as updated as possible. 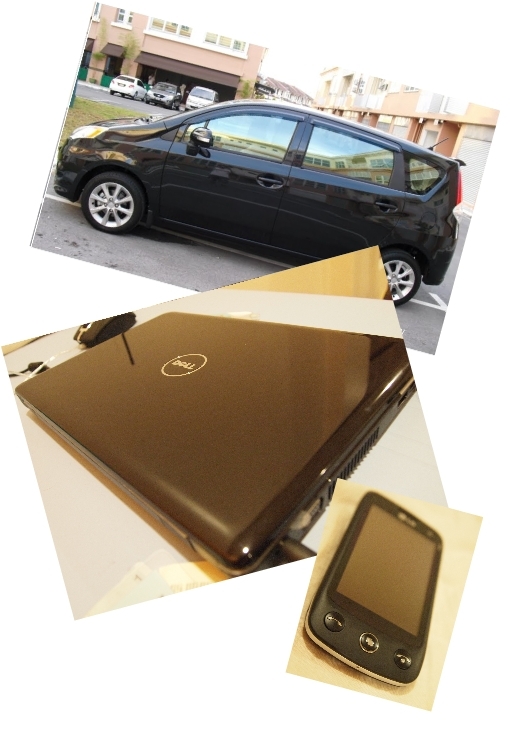 I loved black clean finishing of all my gadgets, which include my Dell notebook, LG handset, even our (Egg and I) Perodua Alza. 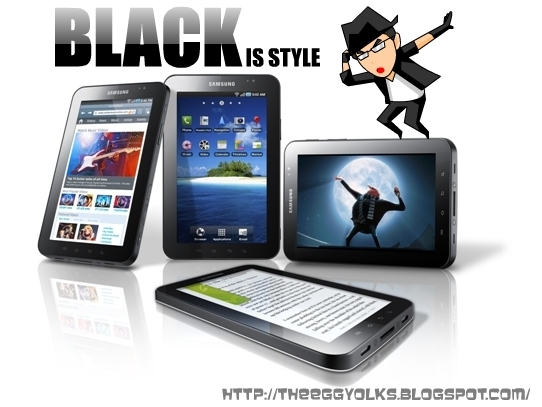 A stylish Samsung Galaxy Tab with flush black bezel and glass screen is perfect for my collection! Like what people said, Black is not a colour; Black is style! Woots! 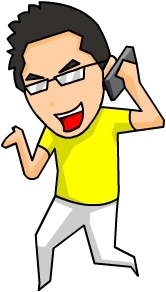 As a typical working adult, I can hardly escape from paper works, meetings and more meetings. 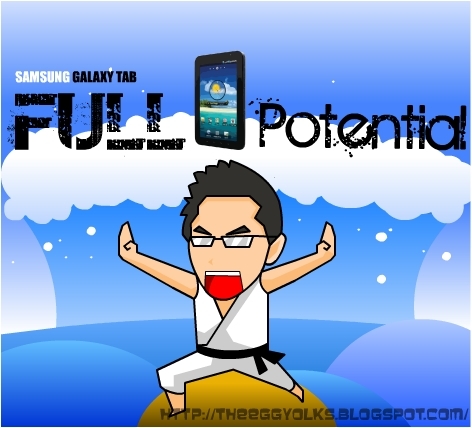 This is when I’m going to unleash the Samsung Galaxy Tab’s full potentials. 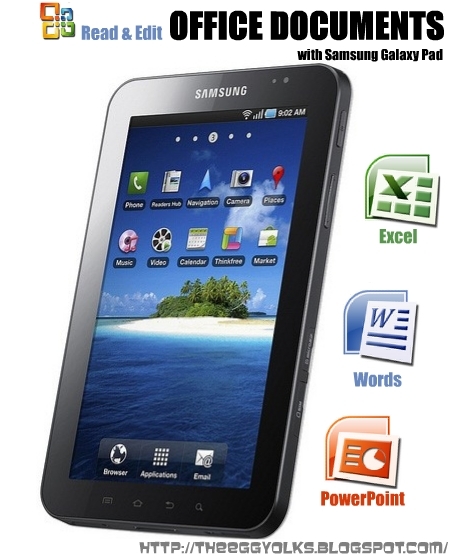 Samsung Galaxy Tab enables me to read and edit all Office documents such as words, PPT and even excel! With it’s 7” full touch screen, it’ll never be too hard to read or even type. 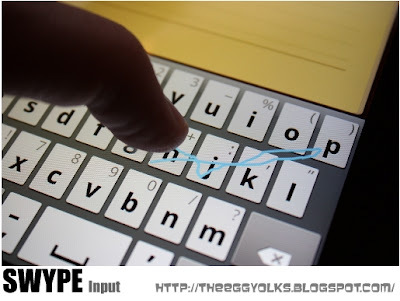 Now that I mentioned “type” it also comes with the SWYPE input where I can type by swiping my finger in one continuous stroke across the keyboard. I can type super fast while correcting my typos in split seconds. 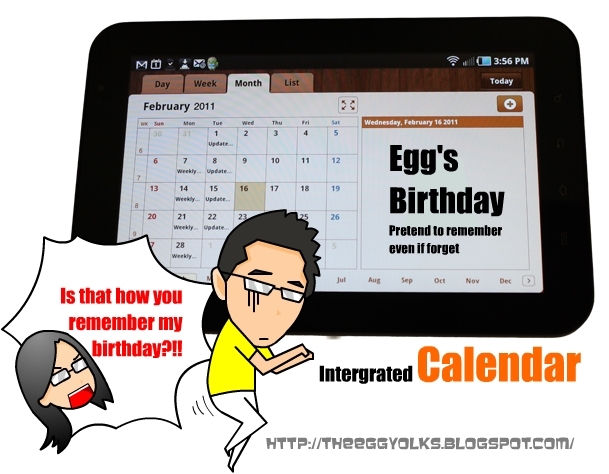 I can easily mark my meetings using the Samsung Galaxy Tab’s integrated calendar making sure that I don’t forget them. 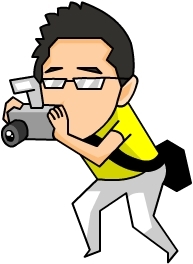 I blog about anything, anytime at anyplace! 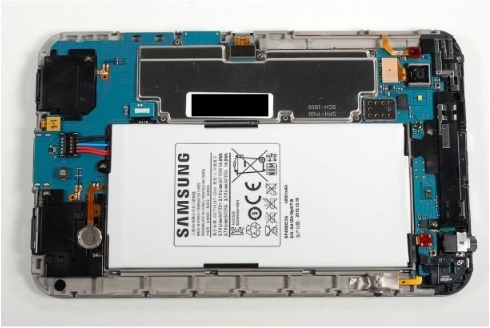 With Samsung Galaxy Tab in hand, taking pictures or videos and uploading it into the internet is like a breeze. 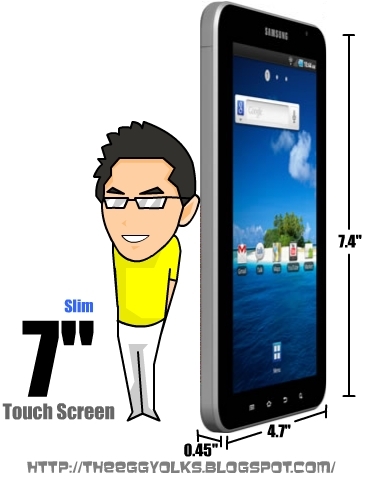 The Galaxy Tab is equipped with a 3.2 megapixel rear-facing camera and a huge view finder (the 7” screen of course)! Bringing this baby around is nothing to be worried about since it’s only 0.83-pound and 0.47-inch thick. 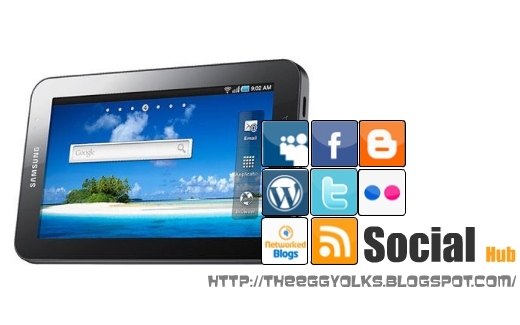 Furthermore, the Galaxy Tab has a build-in Wi-Fi which makes internet surfing an ease with a touch. Updating my blog is never this easy. I love travels but travelling can be quite boring when there’s nothing to do during the journey. If the journey takes around 5-6 hours, I’ll be bored to death! 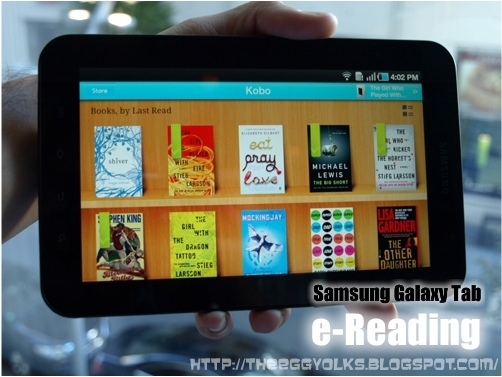 The eReading functions of Galaxy Tab will definitely lighten up my journey. The long lasting battery life also deserve a praise! When I reached any places of interest, I will not have to worry about my way back to my hotel if Galaxy Tab is with me. 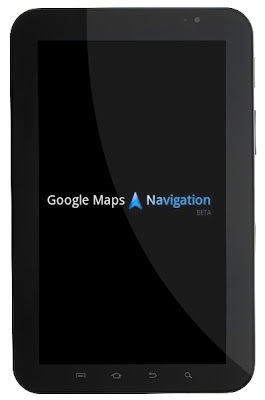 Samsung Galaxy Tab has a spacious display perfect for finding my way around with google maps navigation. 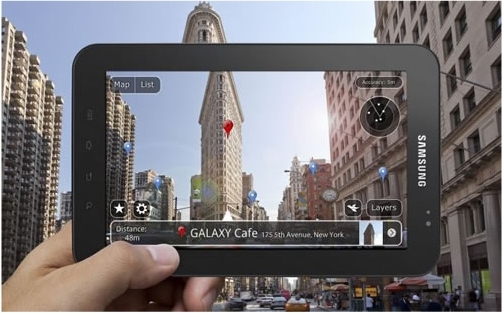 I can always replace my tour guide with the Galaxy Tab. Here’s something that I want to high light! 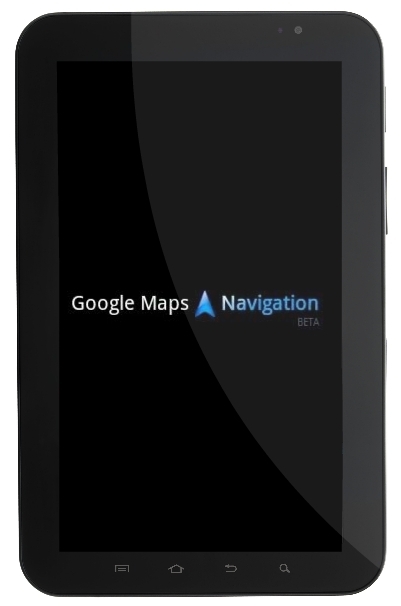 Samsung Galaxy Tab comes with an innovative solution for a traveller like me especially when I’m in an unfamiliar city. I may not be as socialize as most of you out there but at least I love to stay connected with all my friends and family. 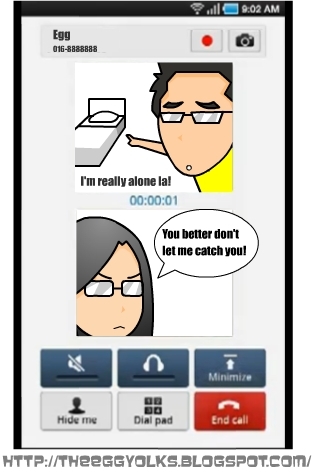 Popular social network system? I have it all! Tweeter, facebook, friendster, koolred, you name it! Galaxy tab will be my social hub where I can instantly check all the updates in my social network! I surf the internet for almost 6 hours a day. 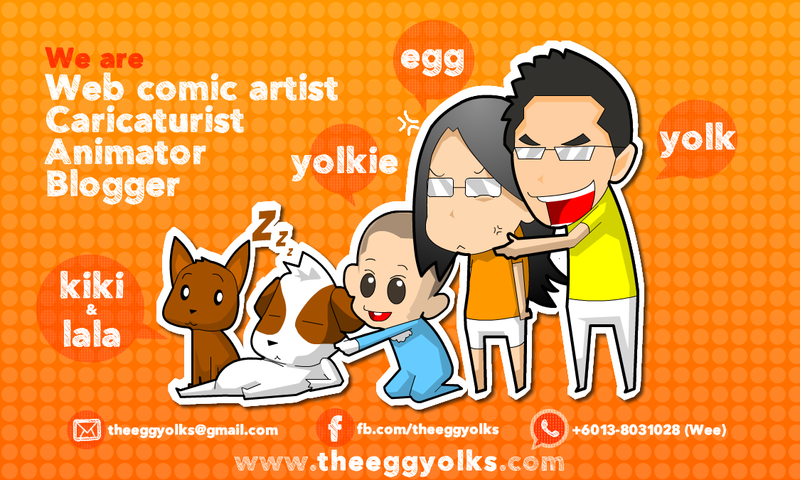 Other than logging into my social account, I love to explore new website, blogs and of course YouTube. With Galaxy Tabs enriched browser that support flash player 10.1, surfing experience is brought up to another level!